Slow cooker recipe – A winter favourite. This slow cooker recipe and winter favourite comes from local chef and Guest Blogger, Grant Dicker – Find Grant on Facebook. Frosty starts, steamy breath… Just some of the signs that it’s braising time… So you might be looking for a slow cooker recipe. There’s nothing better than going about your day and returning to a fantastic smelling home. Upon arrival, the warm and rich aroma fills the air; you instantly become hungry, and wonder why you don’t use your slow cooker 365 days of the year. I love my slow cooker and even in the restaurant I braise meat a lot. A slow, moist cooking technique for melt in the mouth texture that really imparts those wonderfully rich flavours. 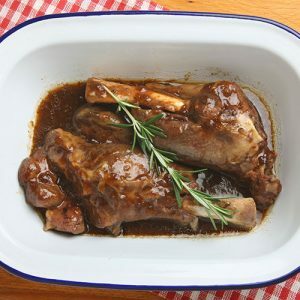 Today my slow cooker recipe is for lamb shanks, those delicious, tender pieces of lamb. I’ve always enjoyed lamb shanks. There is a pefect balance between value and a great end result. They are full of lavour because the muscle does a lot of movement, but when cooked for long enough they become one of the most tender cuts available. Pour the oil in a frying pan large enough to fit all the shanks. Spend a good ten minutes browning the lamb all over. Remove the lamb, add the onion and carrot and cook for a couple of minutes until they are starting to brown. Stir in the herbs and garlic, put this in to the slow cooker. Mix the flour and tomato puree, then pour in the wine and stock slowly while stirring and season well. Add to the slow cooker with the lamb shanks. Set to high and go do something fun! 6 – 8 hours later these tender little bundles of lamb will be ready! Remove the lamb from the sauce if it isn’t thick enough and set aside. Put pan back on the heat and reduce the sauce for a few minutes until it becomes rich and glossy. Pass through a sieve into a jug. serve with buttery mash or polenta, and steamed broccoli. Simply wonderful on a cool evening. Fresh Choice Nelson welcomes back our Guest Blogger, Maddy Bellcroft; Maddy has a chocolate mousse recipe to share with you – Find Maddy on Facebook. Sometimes I watch people standing at the tofu selection looking slightly overwhelmed. Five years ago there might have been one or two brands available, now there are lots, and all in different shapes and flavours. The fantastic variety at Fresh Choice Nelson allows you to experiment and find your favourite. There is a traditional firm tofu that you can marinade and add to stir fries, soups and hot pots. You can also get organic, pre-marinaded, tofu shaped like sausages with wonderful flavours, tofu mince, meatballs, luncheon… The list goes on. One that is lesser known is the soft or silken tofu. Bean Supreme, have just released their version of it and I rate it highly. Silken tofu doesn’t hold its shape so well so is best blended into things, used in soups, or for things like agadashi tofu. 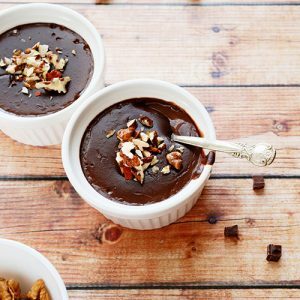 My favourite use for it is to make this chocolate mousse. It may sound strange to put tofu in a mousee but I have fed this to guests with very discerning taste buds, most of them can’t even tell it’s tofu. Make sure you use the super soft silken variety, otherwise you won’t get the delicious velvety finish. Toasted coconut, hazelnuts and seasonal fruit for toppings. Melt the chocolate in a microwave or double boiler. Place the tofu in a food processor with maple syrup and vanilla, and blend until smooth. Pour in the melted chocolate while the processor is on slow speed; continue until all the chocolate is evenly mixed. Spoon into small serving glasses (a little of this goes a long way) and top with thinly sliced fruit, toasted coconut and hazelnuts. You can also try soft tofu in your morning smoothie for extra protein or add small cubes to miso soup. It’s The Grocer’s latest article from our wine expert, Neil Hodgson, this week Neil is talking organic wines! As we become more aware of the chemicals used every day, and try to reduce our exposure to them, many people are choosing organic products over non-organic items. Wine is no different, with organic wines becoming more prevalent on everybody’s radar. But what does organic really mean? Especially when it comes to organic wines, the subject of this column. 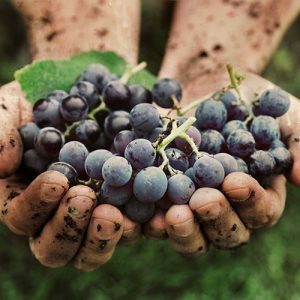 Put in very simple terms it means wines made without the use of certain chemicals in any part of the wine making process, from controlling weeds in the vineyards to what is used in the winery to turn grapes into wine. Making organic wines means a whole change in approach for many winemakers, especially those converting from traditional growing practice to organics and when a vineyard is converted from traditional management to organic management it takes a number of years for the vines to get used to growing in different conditions. This throws up some challenges for winemakers but the long-term benefits are worth the short-term pain. Some of the biggest selling wines at Fresh Choice, Nelson are organic wines; and the Grocer has put a big focus on increasing the range of organic wines on his shelves, look for the green organic label around the price indicator. Wines like the Mahana “Gravity” Sauvignon Blanc for $16.99 and the premium Millton Vineyards Chenin Blanc are just two very good examples. Nelson’s Richmond Plain Wines was one of the country’s first organic certified wines and along with Te Mania are producing some outstanding organic and bio-dynamic wines. Bio-dynamics could be described as taking organic production up another level, but however you describe it the wines being produced by these two wineries are beautiful examples. For something a little different try the Richmond Plains Blanc de Noir for $16.99, made from free-run Pinot Noir juice it is both easy drinking and a very serious wine at the same time. Organic wine production has improved out of sight in the last 15 years and today many of New Zealand’s best wines are produced organically. Winter warming beer in Nelson. The days are shorter, and the temperature in the Fresh Choice meat department seems warmer. This can only mean one thing, winter’s here. Darker days call for darker beers, so you get some comforting warmth from dark malt-driven beers that pack slightly more alcoholic warmth. Two of the nicest winter blanket beers I’ve had come from a couple of Danish brothers who call themselves To Øl. Pronounced “toe ool” (Danish for two beers), they started brewing in Denmark after they felt a need to taste modern beer styles instead of the centuries-old traditional beers with the same-old same-old. To Øl don’t push the boundaries of beer styles as their beer styles have no boundaries to push. They brew beers you do not forget (unless you’ve had too many). Since their conception in 2005, To Øl have risen to ninth most popular brewery on the 2015 Ratebeer rating. Anywho, back to the winter blanket beers! Goliat Imperial Stout at 10.1% is a goliath of a stout. Brewed with oats, it results in a buttery smoothness with the mouth feel of melted chocolate. 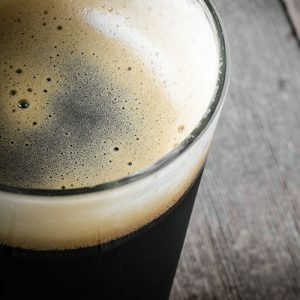 Infused with fancy French coffee that enriches the layers of delicious malt flavours with no over-roasted acrid bitterness. It’s on the sweetish side and tastes a lot like you ain’t going to work tomorrow. Liquid Confidence Imperial Stout. Even though it’s brewed with three different kinds of chillies it’s not a chilli stout but rather a stout brewed with chillies. She starts hot but simmers towards the end as the taste buds get numbed from the 12.2% ABV. And it’s not your mouth burning only smoke from the Chipotle chillies. It’s all good as these chillies counter the malt’s sweetness. The chilli kick will give you the backbone to tell the missus you’re not going to her mother’s 80th birthday. And finally, for a taste of autumn there is Releaf Me Lime Leaf Blonde 5.8%. – lime, ruby grapefruit and tart rhubarb flavours make this brew the perfect accompaniment to any Asian food. To Øl, for flavour as bold as Steven Adams’s moustache. Denis “the shark is back with one in black” Cooper, signing off… Now head out and grab your beer in Nelson from Fresh Choice! This week the Nelson Grocer is talking Italian! This blog article comes from local chef and Guest Blogger, Grant Dicker – Find Grant on Facebook. As the weather cools, we look forward to rich, savoury, delicious meals. Comfort food to warm the soul, and tempt the taste buds! 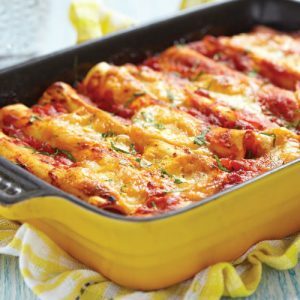 I love good, honest Italian food and Cannelloni is one of my favourites. It takes advantage of the wonderful Fresh Choice tomatoes I’ve bottled in the late summer and combines them with all the flavours and ingredients of a great Italian dish. Here’s a recipe to try, allow a little preparation time but it’s well worth it! In a large skillet over medium heat, warm oil and saute mince with onion, sage and rosemary. Drain fat. Add salt and 1/2 cup white wine; cook until wine evaporates. Set aside. Bechamel: Melt 4 tablespoons butter in a medium saucepan over medium heat. Add flour and stir until mixture thickens. Remove sauce from heat. Add flour and stir until well incorporated. Stir in milk and bring to slow boil until mixture thickens. Remove sauce from heat. In a steady stream pour bechamel into beaten egg yolks, whisking constantly. Stir sauce into meat. Stir in cubed mozzarella. In a medium saucepan over a gentle heat, melt 2 tablespoons butter and saute onion until translucent. Add 1/2 cup white wine and let it reduce; add tomatoes and salt. Mix well; simmer for 15 minutes. Boil a large pot of salted water. Add pasta and cook until al dente; using a slotted spoon, remove to a pot filled with cold water. Lift pasta out and arrange on a flat surface. Preheat oven to 200 degrees. Lightly grease a baking dish. Spoon a line of filling into each shell, starting from one end and using your finger to push the filling inside. Place cannelloni in baking dish and cover with tomato sauce mixture. Bake until heated through, allow to stand, serve, enjoy!